"Please, Please, Democrats, Sue to Defend Climate Change." Really! Would someone please tell Democrat Presidential Candidate Hillary Clinton that when she lies, which is most of the time, she is committing fraud and could be prosecuted, unless of course the FBI does the investigation? If lying were a crime, every politician would be in jail. “Democrat U.S. Attorney General Loretta Lynch also weighed in, admitting that the Justice Department is discussing the possibility of pursing civil actions against climate change deniers, and that she has already ‘referred it to the FBI to consider whether or not it meets the criteria’ for which federal law enforcement could take action.” Screw First Amendment free speech! Let’s see. Wasn’t Attorney General Loretta Lynch the one that met with former President Bill Clinton on her jet in a blatant conflict of interest where they talked about golf and grand children and didn’t say a word about Bill’s wife Hillary up for indictment on illegal handling of classified materials while Secretary of State? Yeah, Ms. Lynch is believable, credible and objective, isn’t she ….. or did she lie? But please Democrats, sue everyone who doesn’t agree with Obama’s Climate Change initiatives that 97% of 10 scientists agree is fact. The trials of the 20th Century were the Scopes and the O. J. Simpson Trials. Let’s make the Climate Change Trial the trial of the 21st Century. Let’s bear all the facts about alleged man-caused global warming so that even the dumbest American can understand it. And we say dumbest American because so many dumb Americans, mostly Democrats, have bought into this global fraud. Every day there is a new article and new evidence from credible sources finding fault with and debunking the hopelessly flawed IPCC Climate Change models. And yet Obama, the Democrats, the radical environmentalists and the international elite are determined to shove this unmitigated, smelly, expensive excrement down our throats. So by all means, lets get the facts in front of a jury, hopefully jurors that possess at least a double-digit IQ. Let a gaggle of scientists get up on the stand and plead their case that we are all going to drown, or prove beyond a reasonable doubt that this whole climate change propaganda is nothing more than an international agenda to put us all in environmental chains and transfer the wealth of industrially advanced countries into the hands of the mentally challenged, backward, third-world countries. Ever since the United Nations was formed in 1945, third-world countries, (there are about 175 of them) have been trying to find a way to get their hands on the vast wealth of Western civilized nations and make the civilized nations pay for their alleged transgressions. There is no thought given to what the Western civilized countries have done to lift up the backward, un-educated, disease-ridden, impoverished countries. The third-world remains impoverished because they are content to live in aborigine squalor and filth, driven by ancient traditions, myths, legends and native jungle customs. All they want is our money and Climate Change, alias man-caused global warming, has given them the tool to get it, with the help of the UN and the national and international ruling class. 1. The effects of all of the green house gases on the planet’s temperature, including water vapor. 2. The effects of the changes in the Sun’s emissions on temperature over long periods of time, including the effects of the different types of Sun radiation on temperature. 3. The effects of shifting ocean currents and ocean temperatures on the planet’s temperature. 4. The effects of CO2 absorption by all the world’s vegetation and oceans. 5. The effects of cyclic and intermittent volcanic eruptions. 6. The effects of planetary wobble. 7. The effects of changes in the planetary orbit around the Sun. 8. The reflective effects of the world cloud cover on temperature. 9. The reflective effects of Arctic and anti-Arctic ice cover. 10. The effects of the changes in the planets inner temperature on atmospheric temperature. These are only ten variables effecting average world temperature. There are many more variables not listed. The variation in each of these ten variables is huge, making any answer from the equations using these variables gibberish, no matter how powerful the computer. The long-range wide variations of each variable, is mostly unknown to science. So what do climate scientists do when they enter the variables into their computers to glean long-range temperature trends? They make guesses and assumptions. Guesses and assumptions are not science, if you wish to arrive at irrefutable conclusions but they are very useful if you want to con the masses. Therefore, making long-range predictions of the Earth’s climate is a fool’s errand. Climate change is in fact, an unprecedented, monumental global hoax. One of the most damning pieces of evidence against climate change appeared in a simple graph showing the world temperature over the last 500,000 years taken from the highly-regarded science of ice-core samples. 500,000 years ago the world temperature was approximately 6.5 degrees below today’s average temperature. However, at 400,000 years the world temperature peaked at slightly above today’s temperature. It peaked again at 340,000 years ago, then again at 240,000 years ago and then again at 120,000 years ago and then again at the present. 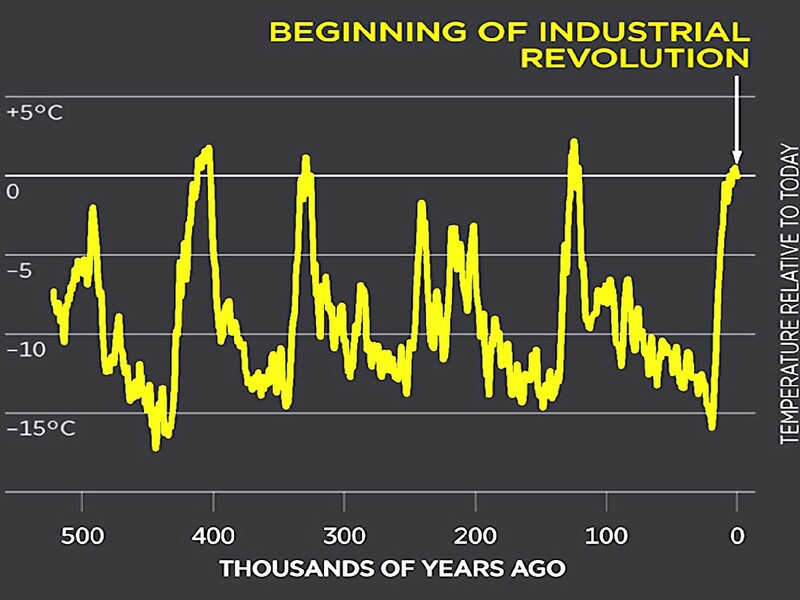 Somehow, the climate alarmists expect us to believe that the current rise in temperature was caused by the emissions of CO2 in the atmosphere from industrialization. In their minds, Mother Nature, or an unknown natural cycle, didn’t have a thing to do with it. That defies credulity, not to mention basic logic and leads to the conclusion that climate alarmists are lying through their teeth to promote a political agenda. If the 500,000-year historical ice-core temperature data was the only evidence against man-caused global warming, we might concede that not enough scientific research had been done. But the ice-core evidence is just the tip of the iceberg of known anti-climate change science. We have assembled an entire web page on the NARLO website HERE with links to article after article of credible science refuting the whole concept of man-caused global warming. Don’t believe us. Read the science. For a broader view read our guest editorial in the Seattle Times on global warming HERE. Even though the evidence against climate change piles up across the planet, it is totally ignored by the media, liberal academia and Democrat politicians. Sadly, most Americans don’t care that they are being conned. Almost every newspaper in America prints articles claiming that man-caused global warming is a reality but never prints a counter argument. Their readers are forced to absorb only one side of the so-called climate science. Endless climate change propaganda has made millions of Americans believe it is a real and imminent danger that will affect them in their lifetime. Of course, Democrats are more scared of this boogey man-without-a-science, than Republicans. Each newspaper, each environmentalist, each Democrat politician and each Democrat Attorney General that propagates and promotes this bilge and threatens to sue the deniers, is a co-conspirator in the climate change conspiracy. Each is a bald-faced liar. Consequently, we invite every environmentalist, every climate scientist, every Democrat politician and every Democrat attorney general to sue us if they believe that man-caused global warming is settled science. Prove in a court of law that your science is the best available science and cannot be questioned or refuted by any other known science on climate. 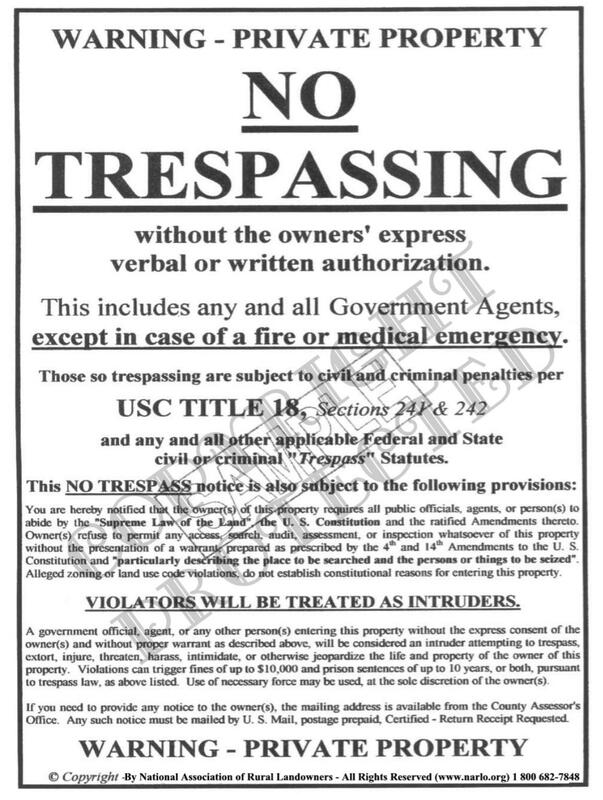 We make this challenge because we know that when the facts have been fully and accurately presented in a court of law, climate change will be exposed to be a fraud of the highest order, with the full intent to subjugate all citizens on the planet to rigid radical environmental regulations, dilute or eliminate national sovereignty, destroy constitutional property rights, rob us of the greatest energy source known to man and strip the western nations of their wealth, in a grand wealth redistribution scheme. And if you want this fraud to continue, then by all means, vote for the Liar-In-Chief Hillary Clinton. So we say: Please! Please! Democrats! Sue to defend your cherished climate change. We’re ready for you with reams of powerful science that will gut your unsubstantiated climate theories to shreds. Let the “Trial of the 21st Century” begin.